You came to the right place as that is what we are going to talk about here. Besides that, we will also discuss the common problems that you can encounter when you have a digital scale. Definitely, having a digital scale can be both a dream and a nightmare. Hopefully, with our help, your nightmares will be lessened or better yet, eradicated. Do keep in mind that we are not going to give you a definite fix because, again, situations may vary. Instead, we will share with you some guidelines on how you can maintain and possibly prevent any errors from happening to your digital scale. Do you have a malfunctioning digital scale? We’ve got you covered. The usual messages are “LLL,” “UNSt,” or “Out2.” This is usually the case when the sensors that are at the platform are malfunctioning. It can be one or two of them, or possibly all of them. One thing is for sure, though, and that is: if one of them is broken, these error messages will show on your display screen. Aside from that, these messages will also be shown when the load cell inside the digital scale is no longer giving out electrical charges. When one or both of the batteries are running low, it will take a long time for the digital scale to calculate the final reading. This can also be the cause of the display screen blinking on and off inconsistently. In fact, the scales might even stop functioning when there is low voltage. In other cases, the batteries may also leak inside the digital scale, which will ultimately destroy it. As such, you have to be very careful when handling batteries. This happens when the initial calibration was done wrong or if there was no manual calibration that happened in the first place. This can also happen if there are things that have a high magnetic field or high voltage lights such as a radio. The presence of these may be interfering with the own electrical charge transfers within the digital scale. This is the case where the readings keep on changing even when you just stepped on and stepped off of the platform simultaneously. This may be the case if the digital scale is not put on a flat surface. However, more often than not, this happens when you accidentally drop the scale and the sensors, although not entirely broken, records inconsistent results. We are talking about the actual display screen here. Most digital scales are LCD, which are quite durable. However, if you put them where they are exposed to too much moisture, it might build up inside the screen and will affect the opacity. Eventually, the numbers will start to show differently. The key here is to wipe the top of the screen and the platform as often as possible. So, how to fix my digital scale? Well, just like what we have mentioned before, we cannot give you a specific fix, but we can give you some suggestions on how to go about the problem. Take a look at some of our tried-and-tested tricks and tips below. Press on the calibration button. This button differs from one digital scale to another. It is also suggested to do this once every month just so your digital scale will not be cluttered with too much data. Sometimes, the digital scale will malfunction if one of the batteries are already low in power. A good solution to this is to get a weighing scale that alerts you when you have low battery power. Aside from that, it is also strongly advised to check your batteries for any leaks from time to time. There are a lot of times when the connector of the display screen gets disconnected from the main board of the digital scale. This will lead you to believe that it is already dead when the reality is, you only need to connect the wire. Faulty batteries can also be connected with this fix since low battery power can lead to a faint display. It is so easy for water to get into the digital scale, especially when you put it in your bathroom. There is also the case of moisture buildup that can make the transmission of electrical charges faulty. 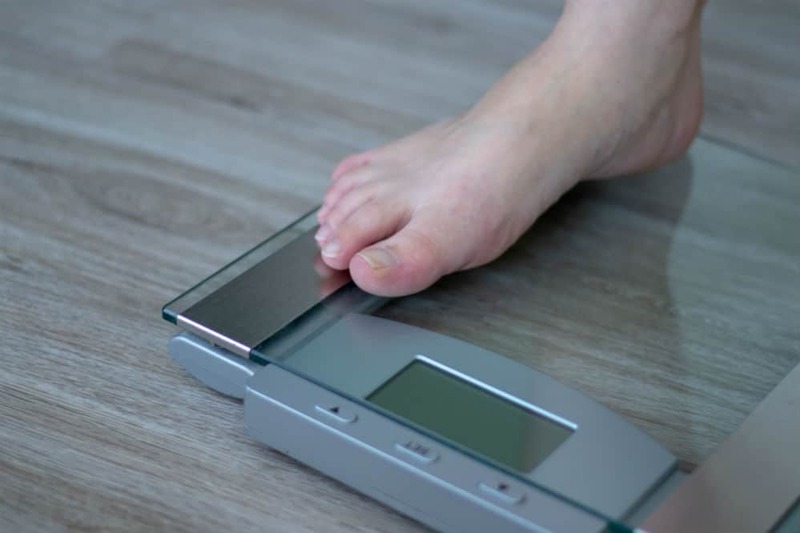 This problem can be solved by wiping your scale dry after every use. Those are the most common errors and some of the quick fixes for your digital scale. Always keep in mind that these are just general guidelines, your bible when it comes to your own digital scale should always be the instruction manual. Again, the control and buttons are different, and more often than not, your manual has all the commands listed there. At the same time, you can prevent the common errors from happening by simply using the digital scale properly. This covers the fact that you should not jump on it to give it a reset every now and then. Treat it just like how you would maintain your smartphone and surely, it will keep on functioning properly until you reach and even surpass your fitness goals.